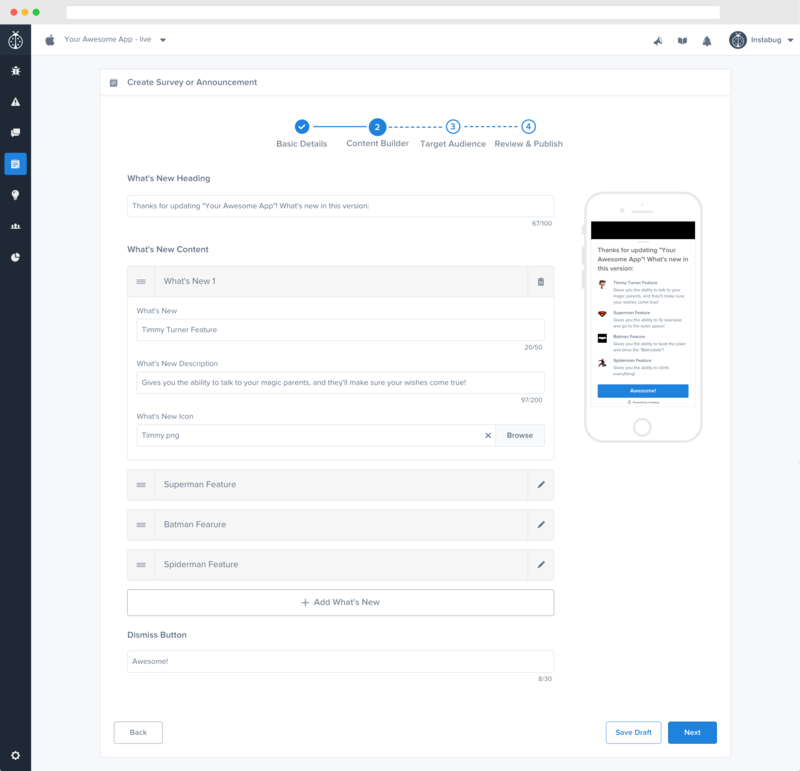 In-app announcements are easy-to-use templates that you can ship quickly to keep your app users up to date. 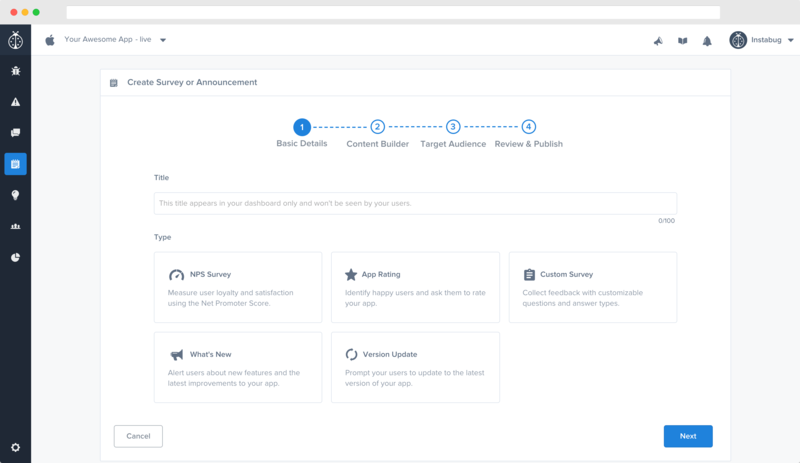 What’s great about these announcements is that you can create, customize, and publish them right from the Surveys & Announcements tab of your Instabug dashboard without any additional code changes. Prompt your users to update their app to the latest version, with the option to make the update skippable or mandatory. You can show this alert to all of your app users, or you can target them by app or OS version, last seen, session count, email, and country. You can also customize the content to match your app’s voice and tone. 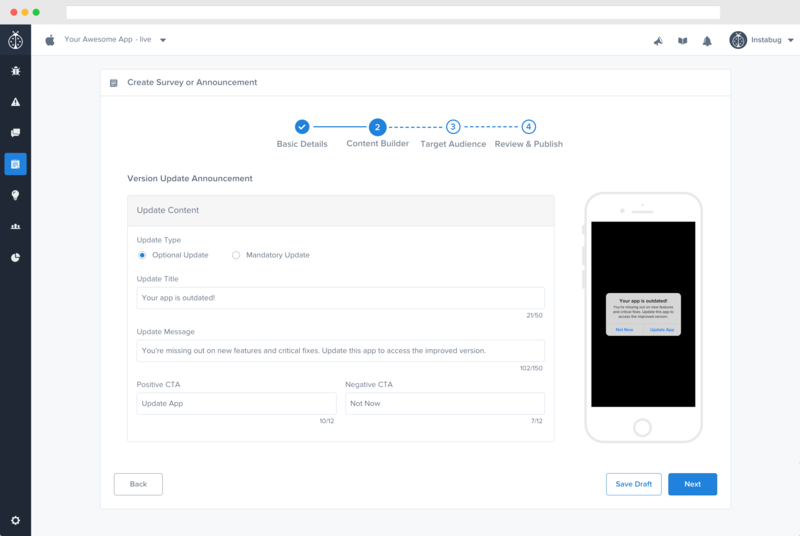 Make sure your users never miss hearing about a new feature or critical fix by sharing your updates through an in-app announcement. Just fill in your updates and upload related visuals, if you’d like. This announcement will be displayed only to users of the app version that you specify. Want more templates? Have requests for improving these new in-app announcements? We’d love to hear your thoughts! Send your feedback to our product team.